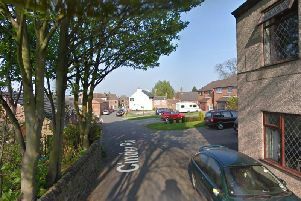 A 60-year-old man has been charged following a report of an incident in Dale Lane, Blidworth on Saturday, April 6. Police officers were called to a BP Garage on the road at around 9.15am on Saturday, April 6, following reports of a robbery. The victim was verbally threatened and a man stole a number of items including cigarettes. Officers worked quickly to identify and locate a suspect. Victor James Staples, 60, of Ricket Lane in Blidworth, was charged with robbery, theft, making off without payment, harassment, criminal damage, driving whilst disqualified and driving without insurance. He is due to appear at Mansfield Magistrates Court on April 16 for the criminal damage and harassment charges, and Nottingham Crown Court May 7 for the remainder of the offences.